Do you know how to get promoted? Promotions are not given, they are EARNED. Are you willing to do what it takes to move up the career ladder? Here's an excellent article, originally written by guest author Long Yun Siang, and adapted specifically to this site's audience, which spells out exactly what you need to do to earn your next promotion! Everyone thinks about getting a promotion. We think about it before we even get our first job. It's a daydream we have even in high school - a vision of climbing the corporate ladder. We all want to know how to get promoted. Of course, many people who ask that question are asking it looking for a shortcut. They want to know a magic way to leapfrog from one rung on the ladder to the next rung without having to pay their "dues" so to speak. Well, this isn't how it works. Everyone has to pay their dues in order to get promoted. However, there are some ways to improve your chances of getting promoted earlier than your peers. If you want to know how to get promoted before other people in your same age group or doing the same kind of work that you are doing, keep reading! Then, start internalizing these tips and make them part of your career plan. Before you know it, you will have moved up to the next level. The biggest reason people ignore these obvious practices about how to get promoted faster is because they seem like long-term approaches. Honestly, they really aren't. The only thing you need to remember is to do them on a consistent basis. Here are the things you need to do broken down into three different areas: Planning, Your Attitude and Taking Action. 1. Where Are You Now and Why Are You There? Before doing anything about getting promoted, you first have to understand where you are and how you got there. Then you can focus on how to get promoted. First you will need to have a reference point. Ask yourself, where are you right now? Is there any key strength that has brought you where you are now that you can continue to leverage for the next promotion? Are there any weaknesses that you really need to correct before the next promotion is possible? These questions are vitally important for you to answer. They allow you to determine what your strengths and weaknesses are. This kind of analysis allows you to assess what has worked and what will work to get you promoted. 2. Where Do You Want To Be and How Do You Get There? You obviously need to have a goal and a set of objectives. Just expressing your desire to get promoted is not enough. You need to be clear on your next career move, right down to the position, the tasks you will be performing and the title you will have. Is it a promotion to a different department? Will you have a new supervisor? Will you be doing substantially different work? Be very clear about your goals. Put them down in writing. Now that you have your goal written down, how do you plan to achieve that promotion? Develop your plan by developing step by step objectives. You might even be able to work this out with your immediate supervisor. Most bosses do not promise that you'll get a promotion during such discussions but at least you will get an idea of what you need to do to get the job promotion you want. People who get promoted are the kind of people who have a sense of pride in their work. They are driven by genuine enthusiasm and an authentic passion to work hard no matter how small the task. They believe in themselves and they believe in the bigger goals of their department and company overall. Not many people believe in their jobs to this extent. If you have this kind of attitude, you will go far in your organization. Having pride and passion is only part of how to get promoted, though. It must be backed up skills and knowledge. That means having the right skills and experience to the job correctly. Otherwise, any effort you make is wasted. Without action - the right kind of action - nothing else really matters. You will be judged by what you do. Very often I see co-workers being given challenging assignments. More often than not, these co-workers see these responsibilities as an additional chore rather than an opportunity. If you want to be promoted, look at challenges as opportunities. Your boss will notice. 6. What Is Your Part? Know your part and play your part. What is your role in your job? Are you an forecaster? Or are you a leader? Know what you need to do in order for your department to achieve its goals. Knowing your part means being a team player. No one can succeed without help from others. We all need the support of our co-workers. When the team succeeds, each individual succeeds, too. I consider this one of the most important tips on geting a promotion. Do your best at this moment, this hour, this day. This week's tasks and projects need your full attention and they need your best efforts. Do not bask in the glory of your previous work. That is gone. In all likelihood, no one else is concerned about it. Right now, everyone is concerned about the current situation - the current project. Don't worry about the future, either. Focus on DOING your best NOW. If you want to get the attention of your supervisor - and their supervisor - do more than is necessary. That means volunteering for work and taking the initiative to go above and beyond what your co-workers are doing. It also means not sitting around waiting for work knock on your door. Bosses like people who can help them solve problems. Even if the problem is not yours, but if you feel you can be of help and have the expertise to solve it, then volunteer to help. You become the team's competitive advantage when you do that. And bosses like people who give their unit an advantage over the others. Helping your team stay ahead is then helping you stay ahead too. Whenever possible, fill in for your boss when he/she is on vacation. If you demonstrate that you can do the work of the person one level up from you, you'll be more likely to be promoted to the next level up. You will certainly be ahead of anyone else in your department. Obviously, there are many such job promotion tips that could be shared, but these are the most relevant to today's environment. If you put these into practice, you will greatly increase your chances of a getting a promotion. Long Yun Siang or Long, as he is popularly known runs http://career-success-for-newbies.com with his wife Dorena as their way of paying it forward. Their website - based on their real life experiences - provides tips, tools and advise for newbies pursuing career success. 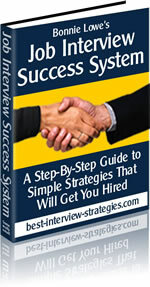 Download a FREE copy of their mini eBook titled "Career Success Recipe for Newbies" at the website now.